to ensure the right fit for your organization. 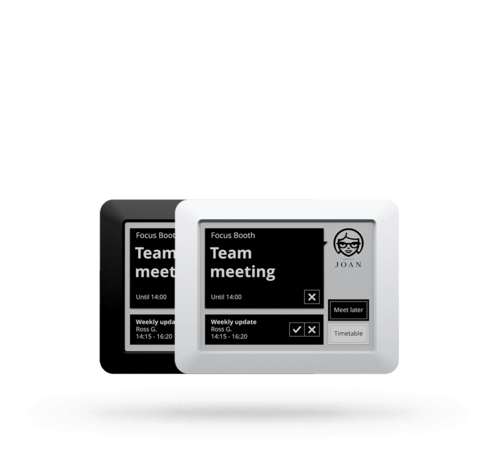 Each JOAN device comes with a 14-day free cloud trial that automatically fires up when you connect JOAN to your company calendar. 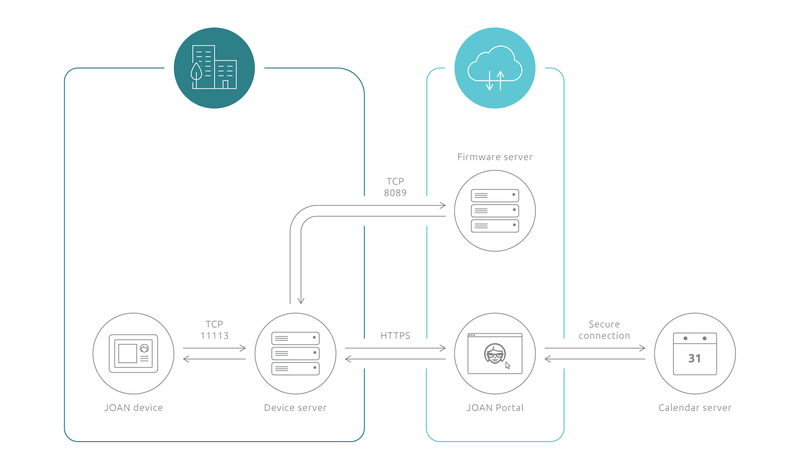 Save yourself the hassle and host your JOAN devices in the cloud. 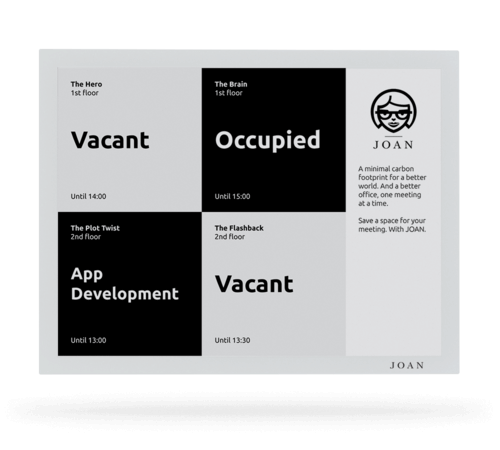 It’s the simplest integration of JOAN with your calendar, requiring no effort on your part. JOAN is hosted safely on our servers* for a monthly subscription of €8.99 per device. 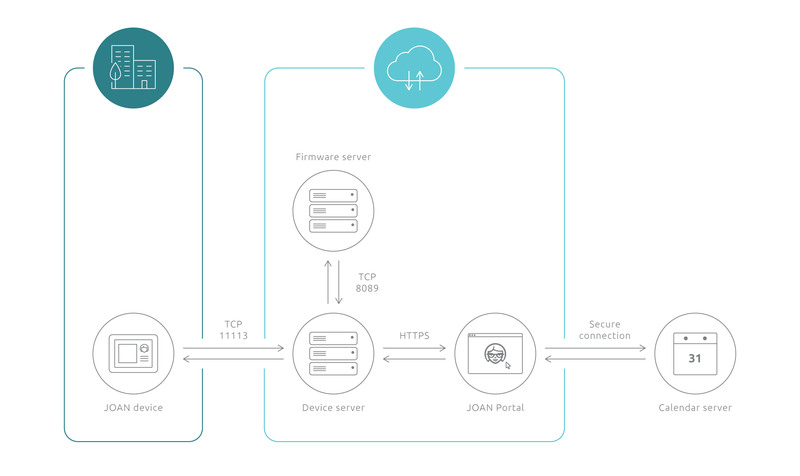 * When in the cloud, JOAN production systems are hosted on the Google Cloud Platform designed to deliver better security than many traditional on-premises solutions. Host JOAN on premises, on your own server infrastructure managed by your own IT personnel for a higher level of control over your JOAN devices. It’s free. There’s no monthly subscription. Everything about Hosting neatly listed. Join the thousands of companies and try your new JOAN device for 30 days. If you don't love it, send it back — no questions asked!